Tilly and the Buttons: Black Friday sale! 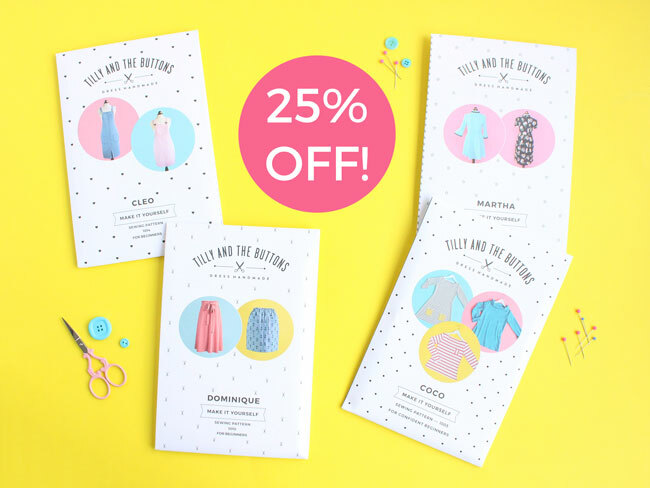 It's time to stock up on sewing patterns - get 25% off in our Black Friday sale. Hooray! If you fancy treating yourself to those patterns you've been coveting or you need gifts for your crafty friends, grab them now! Offer ends Sunday 27 November midnight GMT. The discount code is not valid on pattern bundles, Cleo sewing kit, books, bags or workshops.